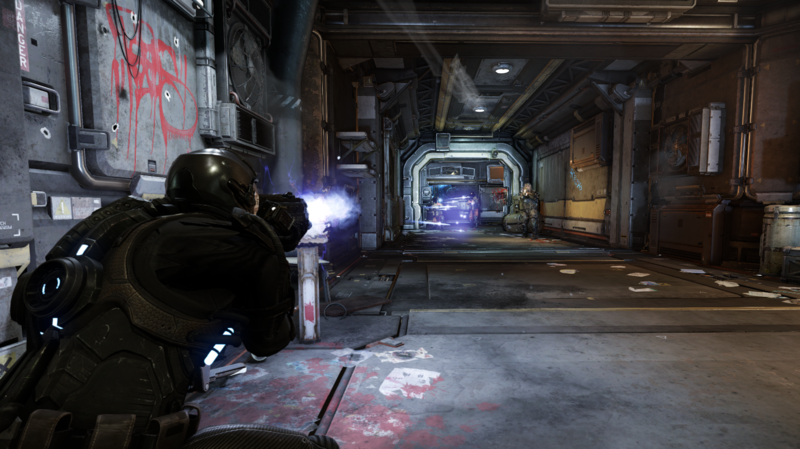 Chris Roberts shows us how the FPS combat will look in his upcoming crowdfunded space sim, Star Citizen. 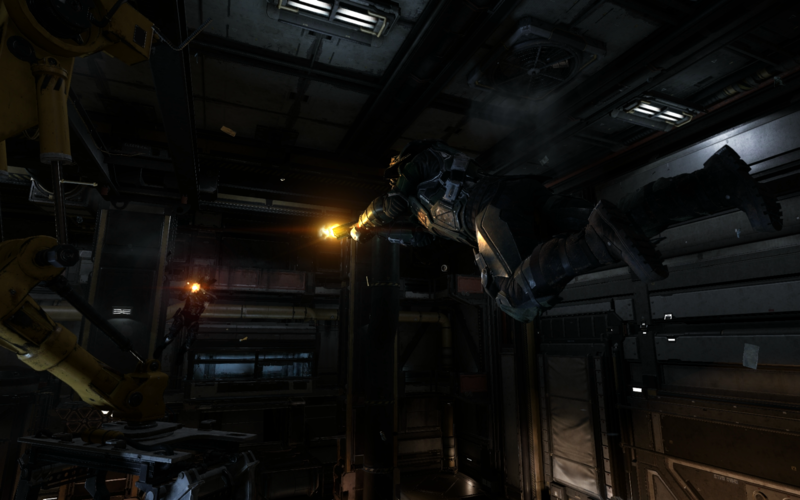 Star Citizen is a game (mostly) about spaceships fighting each other in space. But sometimes in the Star Citizen world, you'll want to use a bit more... subtlety than simply obliterating your enemies from orbit. That's when those spaceship pilots will have to get their feet on the ground, and exchange the joysticks for rifles in the game's first-person-shooter module. 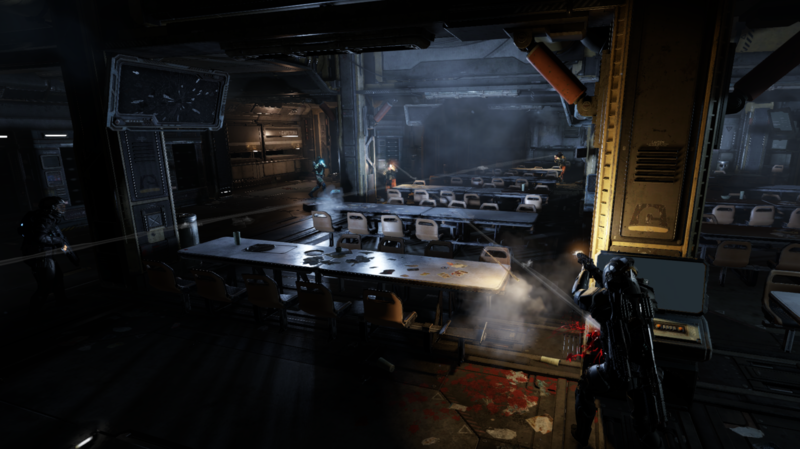 Today, at a world-exclusive reveal during a Star Citizen fan event in Australia, Chris Roberts has offered us a glimpse into how FPS combat will look in his ambitious space sim. First, check out the video to the right, which offers a full 10-minute rundown of a typical 4-player co-op FPS firefight. While it certainly draws some parallels to other sci-fi shooters (Halo especially comes to mind), Star Citizen hopes to differentiate itself with a couple of cool features. For instance, 3rd person and 1st person animations are synced, which means your allies will see what you are doing, as you are doing it, and when a teammate is down, players will need to physically drag them to safety before they can recover. Arm and head movements will also be separate, meaning that players can look in one direction while firing in another. The FPS module will also be incredibly detailed, with each individual item that a player equipped being visible on their third person model, and some crazy over-the-top stuff like full eyeball animation, where your model's eyeballs actually look at whatever it is you're looking at. In the presentation, Roberts talked a bit about the timeline for the game's staggered module launch. He told us that we can expect Arena Commander 1.0 in late 2014, with the FPS module, the Planetside/Social module, Arena Commander 2.0, Squadron 42's first chapter, and Planetside's persistent universe alpha arriving in 2015, and in that order. 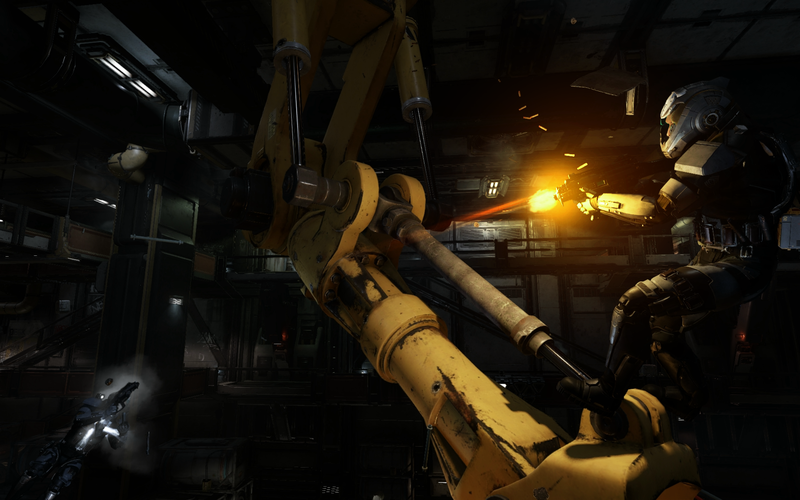 Squadron 42 is the game's single-player mode, and should last somewhere between 15-20 hours.